Cosmetic Surgery Partners :: How Do You Know You Can Trust Your Cosmetic Surgeon? How Do You Know You Can Trust Your Cosmetic Surgeon? How do you know that you can trust your cosmetic surgeon? 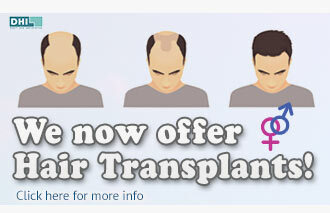 Choosing to undergo cosmetic surgery is a huge decision, and one that nobody should take lightly. Whatever your reasons, whether cosmetic or medical, it is important to know that not only will the procedure turn out as you expect, but that your surgery will be performed by a reliable and trust-worthy cosmetic surgeon. In the British Association of Aesthetic Plastic Surgeons (BAAPS) audit, it revealed that in 2013 there were 50,122 surgical procedures performed - a rise of 17% on average since 2012. If you decide to have cosmetic surgery, it's important that the surgeon and other healthcare professionals carrying out the procedure are fully qualified and experienced in the type of procedure you're having. It is important to ask as many questions as you can, and find out as much information as possible about any cosmetic surgeon that you are considering using to perform your procedure. Making the wrong choice here can lead to devastating results. The first thing you should do to make sure you are choosing a suitable cosmetic surgeon is to check their registration. Check that the person who advises you about the surgery is a doctor or nurse, by making sure that they're registered with the General Medical Council (GMC) or the Nursing and Midwifery Council (NMC). The next step is to ensure your Cosmetic Surgeon is suitable qualified and experienced in the field of work you are having done. The clinic or hospital you choose should offer you a consultation appointment with the surgeon, which will give you the opportunity to find out about their experience. 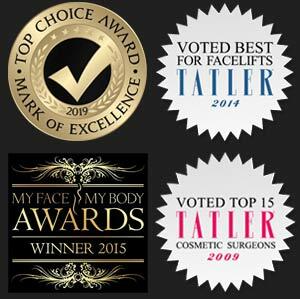 Organisations such as the Cosmetic Surgery Partners provide easily accessible information about their Consultants, ensuring you can find out as much information as possible about their experience and qualifications before you go ahead with booking your appointment. The surgeon you meet with should be able to answer all of your questions, including: how long it will take; the anaesthetic you’ll need; what pain you can expect; how long the results will last; and how long the recovery should take. If your surgeon cannot answer these questions, or is vague about their answers, it would be worth looking elsewhere. The surgeon or clinic should not put pressure on you to have the surgery or to make a fast decision, as undergoing cosmetic surgery is such a big decision. Attending a no-obligation consultation is often a great way to get all of the information you need, ensuring when you go ahead with your procedure you know you are in safe hands.